Easy and accessible; a SCORM compliant web-based software that puts you in control. I was delighted by the excellent work of Orbit Info Solutions. 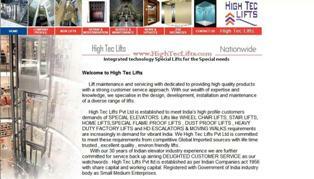 Their web design team is dedicated and professional and the quality of work is very high. This was excellent value-for-money and the work was delivered on time. Well done! Orbit Info Solutions is a Domain registrar, Hosting, Website design and development company. At Orbit Info Solutions we don’t just do the job— we do it right. And perhaps it is this obsession of doing things right, along with attention to detail that brings customers back to us time and again. We have been delivering quality to our customers and have a proven track record of 7+ years. Our Clients are among the who’s who of Global Businesses. We take great pride in our collaborations and partnerships, building lifelong relationships that are mutually beneficial. Software development is a highly technical job that requires time, skilled — read extremely expensive— manpower, and expensive infrastructure; all of which we offer at a petite fraction of the dollar you are currently spending. Our programmers don’t just have excellent technical skills; what they have counts more than technical skills; and that is experience and exposure, the right kind, of course. To keep pace with changing market trends, we will find the right person for you; so you don’t have to spend time and money to retrain your current staff. Your project will always have 100% marketability! A fabulously simple, yet complete design. Much has been accomplished with very little. The cool branding is a statement of confidence in itself.